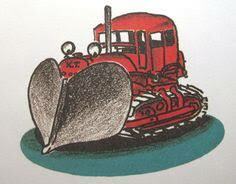 Because it snowed the day before Valentine’s Day I get an opportunity to post a picture of my favorite snow plow- K.T.! Note the heart shaped plow and that she’s the color red of course. Or give the gift of food to your sweetheart with a Valentine’s Day themed Umpleby’s eGift Card!